Ka'ena Sea Salt: Smoked Shrimp Skewers!!! Mix lime juice, Sea Salt, Organic Pepper, garlic, melted Coconut Oil in a small bowl and marinate shrimp for 30 minutes to an hour. Heat a large flat pan on medium to high heat. Add coconut oil and allow to heat. Once pan is hot gently place skewers onto the pan, then pour marinade over the shrimp in the pan. 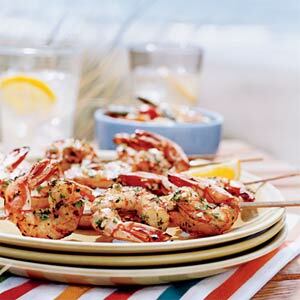 Cook shrimp for 1 to 2 minutes on each side and turn the skewers over with tongs.